Buying a used car can be a lot of fun. However, there are a lot of factors to consider when beginning the process. While there are unique challenges to buying both new and used, it's important you know what questions to ask and what steps to take before settling on your next vehicle. Keep reading to learn a little more about used-car buying. Since there are so many body styles and manufacturers to choose from with a variety of features and amenities available, it can be difficult to know where to start in the used car buying process. But when you narrow down categories like how much cargo space, passenger seating or towing capacity you need, then you can start to figure out what vehicle is right for you. Once you've narrowed down the type of vehicle you want, you can make a list of your deal breakers in a used vehicle. Research various models and makes that give you all the amenities and features that you want. 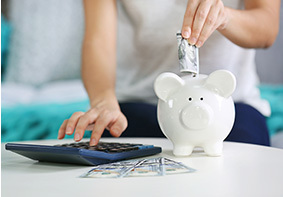 Creating a budget can be the hardest step in the process. You may have found the vehicle that fits you perfectly, but finding one that you can afford can be hard. When purchasing a vehicle, it's recommended to put about 20 percent down, limit the term to no more than 60 months and keep your monthly payment below 10 percent of your income. You'll also want to consider the cost of regular and unexpected maintenance. Some cars cost more than others. Negative equity can be a big burden. The balance of your old loan may be consolidated into the new car's loan amount, meaning you could be paying the debt of two cars in one, big loan. Get ahead by researching what your trade may be worth. Take your time with the test-drive to make sure you actually enjoy the car and can get a feel for how it drives. Ask questions, play with the various features and look around the vehicle. Make sure the car has enough space for everything you need. 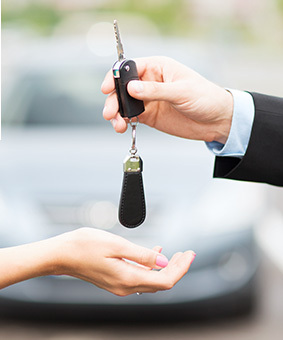 If you have any questions about what you need to do before buying a used car or would like to test-drive any used cars, please feel free to contact us or stop by Serafini Nissan at 3101 Vestal Parkway E, Vestal, NY 13850. We look forward to serving our customers from Binghamton, Elmira & Ithaca.